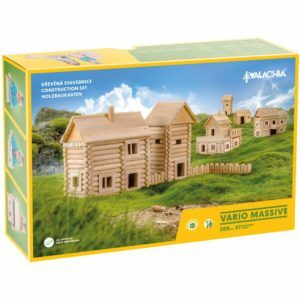 We are making unique wooden model making kits from Czech wood since 1991! The set contains beech parts of 15 mm in diameter, of various lengths with locks at the ends. It is possible to build from it more variants of different buildings according to your own ideas. It can be assembled and dismantled. 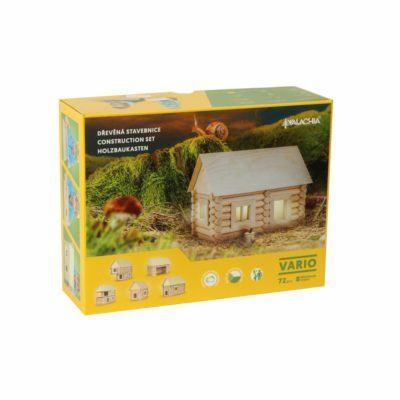 Vario support children’s imagination, well-made wooden toys are naturally smooth to touch, completely safe to play with and will last a long time. 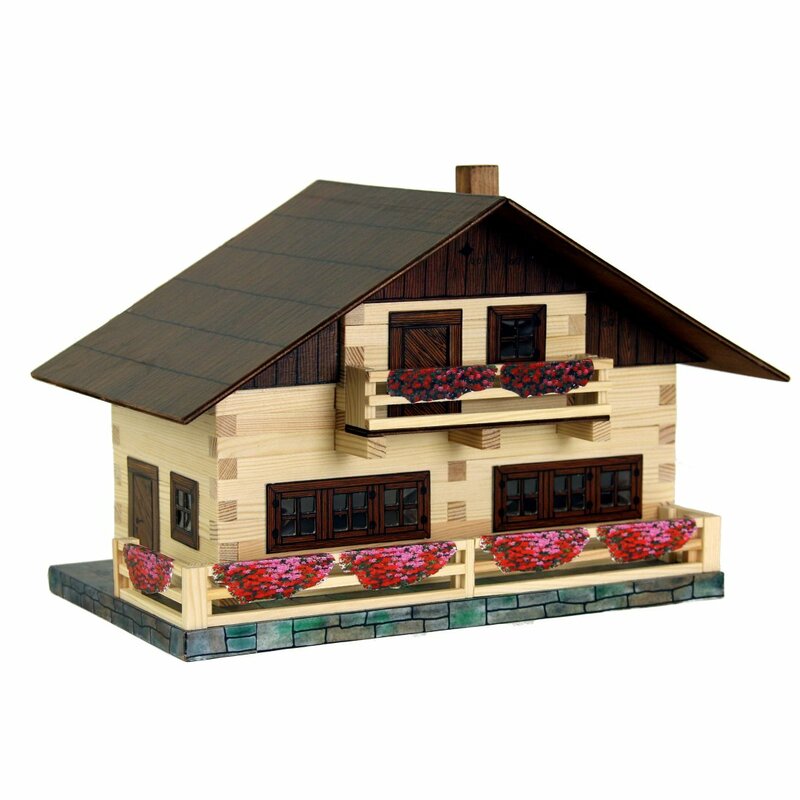 Glue-together wooden building set contains cut wooden prisms of 9 x 9 mm, gables, roofs and bases, doors, windows, even foil representing glass and step-by step diagram instructions, i.e. pictograms, with symbols for separate working acts. Look great as part of a model railway or imaginative (1:32). Needs PVA or wood glue. My daughter (aged 8) really enjoyed making this and the finished product looked great. A lovely toy. 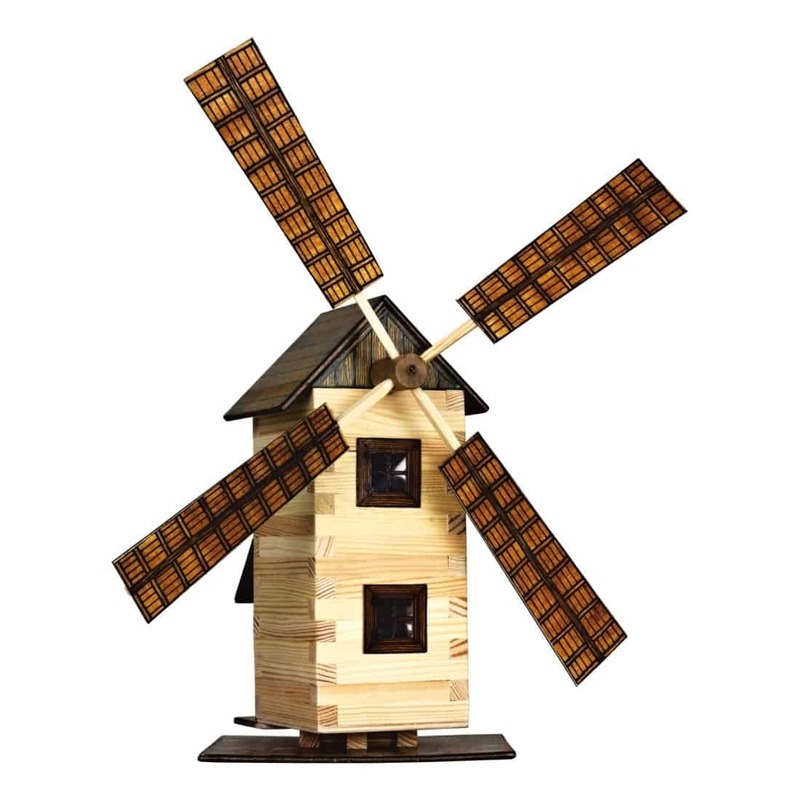 Bought as a gift for my niece who loves doing craft projects. Good quality. My son loves making things, and especially in wood! It was pretty easy to construct, I helped him with the glueing, but he ended up with a pretty impressive building. I have brought others since, as I think its fun to do, and nice to look at after! 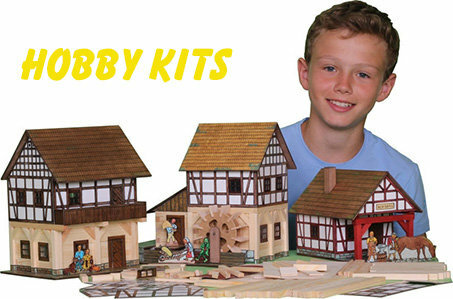 I would recommend these kits to anyone with craft orientated kids!